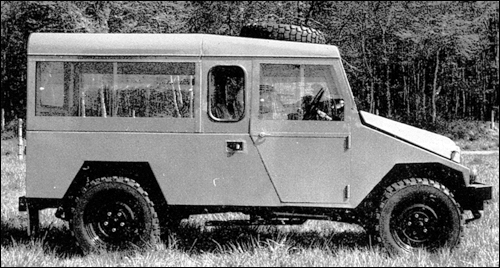 The Cournil with extended wheel base. Entangled in local political and financial intrigues Bernard Cournil was forced into bankruptcy. The company was taken over by the Commercial Court of Aurillac. Bernard's son Alain become the new manger.